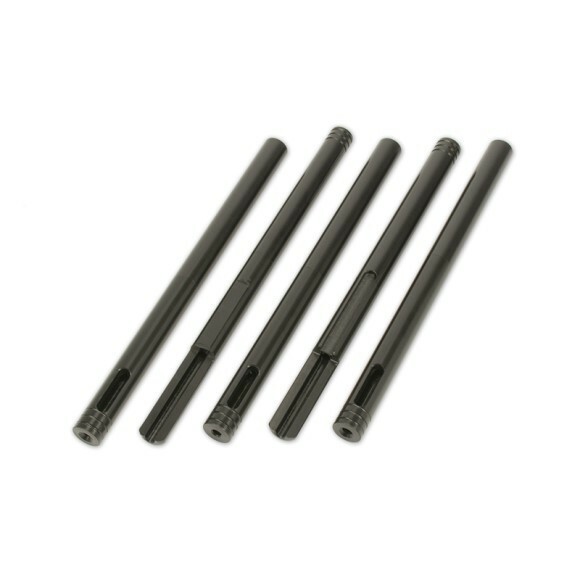 Bore Tech’s RIMFIRE, BOLT ACTION BORE GUIDES precisely align cleaning rods with the bore & prevent damage to your firearm & cleaning rod. 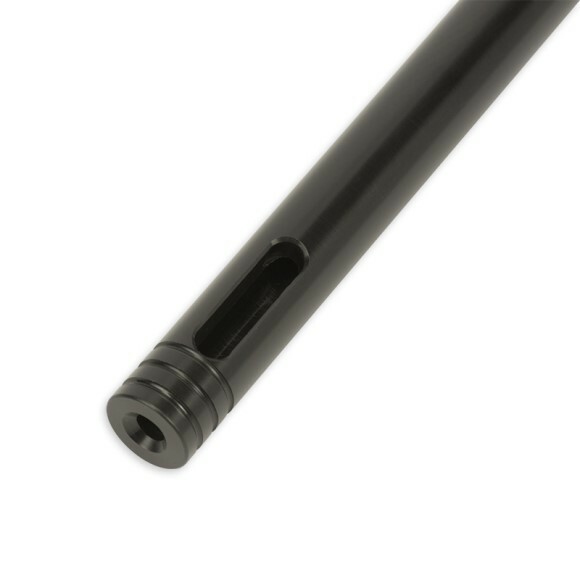 The solvent resistant, synthetic polymer guides are custom made specific to the rifle model/caliber and feature integrated solvent ports for easy solvent application. 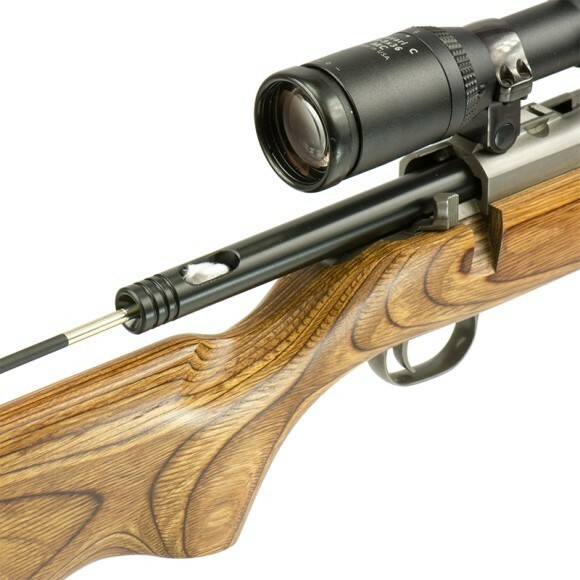 Bore Tech’s RIMFIRE, BOLT ACTION BORE GUIDES precisely align cleaning rods with the rifle bore and prevent damage to both the firearm and cleaning rod making it a necessary tool for proper cleaning and protection. 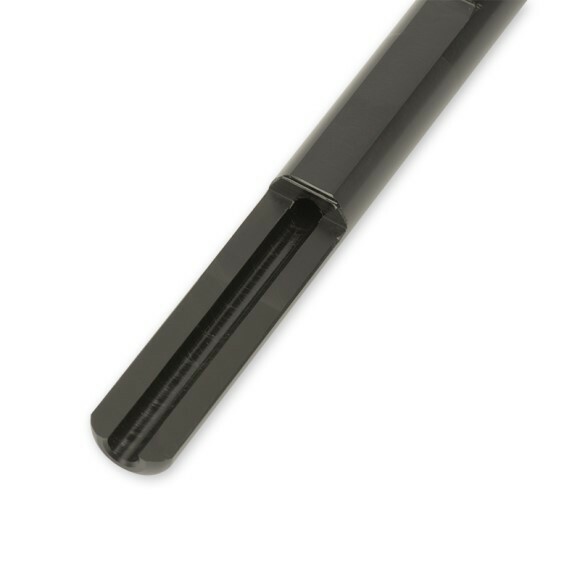 The Bore Tech Rimfire Bore Guides are CNC machined from a rugged, solvent resistant, synthetic polymer that perfectly aligns cleaning rods with the bore and prevents cleaning rods from dragging along the ejector. This eliminates scratching of your cleaning rod and wear on the ejector. Each guide is designed to seat against the rear of the barrel/chamber and minimizes cleaners from leaking into the action. Featuring a tapered rear opening for easy jag/brush alignment and a widened solvent port for easy solvent application these guides will provide a lifetime of use. All Rimfire Bore Guides are custom made specific to the rifle model/action. This ensures a precise fit and avoids interference from ejectors, trigger sears and bolt releases. 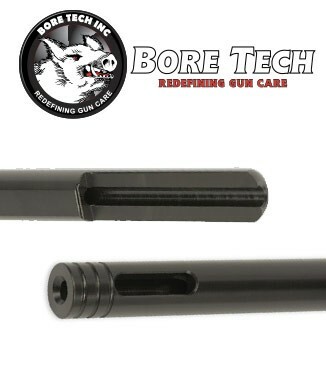 Bore Tech stocks Bore Guides to fit most popular .17 and .22 caliber Rimfire, bolt action rifles. Please contact Customer Service to inquire about custom made Rimfire Bore Guides.